This week we are turning our focus on innovative instructional technologies, famous speeches and decisions made by former presidents, as well as the importance of STEM skills and learning. A Call for All Digital Innovators! Participate in Digital Learning Day on February 23, and share your work with us! Digital Learning Day (DLD) provides a venue for educators and leaders to highlight great teaching practices and showcase instructional technologies that are improving student outcomes. In honor of DLD, Maryland Public Television will display some of this amazing work being done in classrooms throughout Maryland. To participate, simply share an activity, strategy or practice that uses digital tools and technology to enhance student learning, along with a brief explanation and visual representation of your work. Please include a successful outcome pertaining to the activity as well. Submit your work to ladler@mpt.org along with your full name, title and school or district. The leaders of our country must make extraordinarily difficult decisions and share these messages with the American people. Use Thinkport’s self-paced modules to help students study the messages of past Presidents including Truman, Bush and Obama. Modules include videos, interactive activities, and teacher resources. > Visit PBS's An American Experience: The Presidents to access exceptional documentaries and informational biographies. National Engineers Week acknowledges the contributions that engineers make to society and emphasizes the importance of learning math, science, and technical skills. Encourage and enrich STEM learning and practices in your classroom with the following activities. Use the engineering design process to design a colonial settlement that can withstand various challenges. 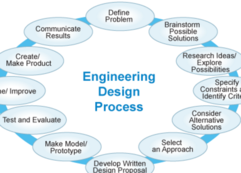 Learn about global access to clean water and apply the engineering design process to develop a solution to purify water. Design a house for man’s best friend. Children become engineers and learn early math concepts in this PBS KIDS afterschool multimedia adventure. Skills: measurement, length, width and height using standard and non-standard units of measure. Throughout the year, MPT hosts special activities, film screenings and discussions surrounding upcoming programs on MPT/PBS. It’s a great opportunity to connect with your community and learn something new. Attend a local screening to see how a unique alternative high school in the remote Mojave desert is addressing the complex needs of at-risk students. An extraordinary principal helps bring out the potential in students whom the system has deemed lost causes.